So, you've been picked to give a secret santa gift to a teen boy and you have no idea what to get? Here are 10 awesome ideas. Books? I hear you ask. For a teenage boy? Well actually a book can be the easiest secret santa gift to get. There are just a couple of rules to follow. Unless you know they like to read a particular author, stay away from fiction. Choose a book which is fun, visual or humorous and you can't go wrong. Ideas include, The World Guinness Book of Records, 97 Things to Do Before You Finish HIgh School, 100 things to do before you die and Encyclopedia of Immaturity. Check out the Manual to Manhood below and more funny books here. 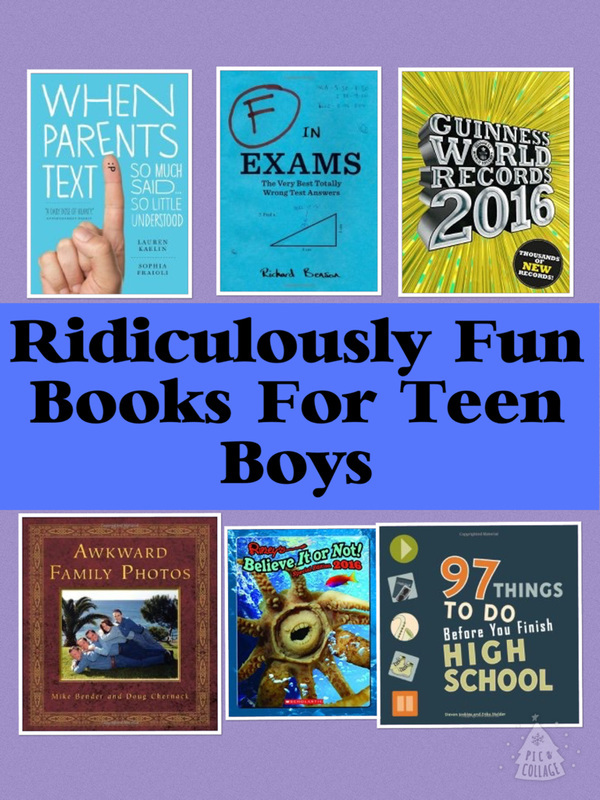 This is a fantastic book for teen boys as it's jam packed full on of useful information, tips and advice for doing all kinds of things you need to do as a man. It's easy to read and dip into to find the advice you need. It covers areas including women and dating such as how to talk to a girl you like to How to meet a girl's parents for the first time. Other areas include money, work, social skills, grooming, sports, cars and driving, tools and fixing things. Find how to change a tire, throw a football, tie a tie, clean a bathroom, ask for a reference, create a budget and lots, lots more. 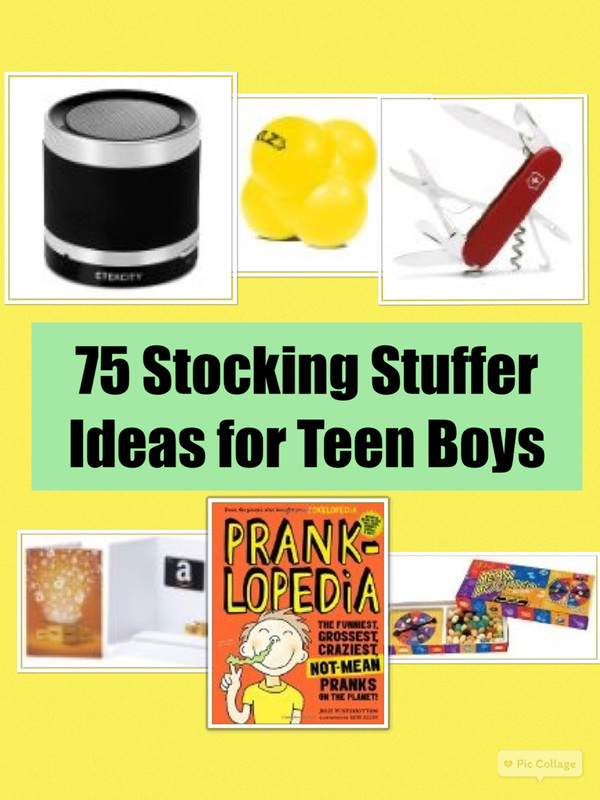 There are tons of gag gifts that make perfect secret santa gifts for teenage guys. Ideas include practical jokes such as a shocking pen or gum (gives an electric shock when you give it to somebody) to whoopee cushions, remote control fart machines (and the like) and to a toilet mug (or other novelty mug). There's not much explanation needed about this gag gift! It's funnier than a whoopee cushion and is guaranteed to provide teenage boys with a lots of laughs. ​The new boom box technology features 15 louder sounds and works up to 100 feet away. The remote can easily be clipped to a pocket and the button can be secretly activated. The machine can be hidden in a drawer or under a table and it still works great. You can go practical on teenage boys and get them an accessory that they can actually use on an everyday basis. A wallet or card holder is one idea. Or what about some texting gloves, so they can wear gloves and text on their phone. Socks are another idea, you can get some cool novelty socks too. Novelty t shirts with slogans are a really fun secret santa gift. ​It's made of heavy weight preshrunk cotton. If he is a gamer, there are lots of fun gamer t-shirts like the one featured. There are some great puzzle, toys and games which make perfect secret santa gifts. Puzzle toy ideas include a Rubix cube and Perplexus Epic (marble game)..
Star Wars is very popular at the moment and a cool mini gift for a Star Wars fan would be a mini light saber. The Rubix cube is well known and is probably the most popular puzzle that people have had a go at solving. To have a go, scramble the colored squares on the cube. Then twist, turn, and rotate to match up the colors again on all 9 sides. There's hours of fun to be had with the cube. Can you improve your time once you solve it. Do it on your own or try and work it out as a group solving it together. There's a gift giving rule that if you can't decide what to give somebody, go for something they can consume. For teenage boys this can take the form of candy, chocolate or cookies. This is a really fun gift that can have hilarious consequences. ​The thing is, it could be disgusting or nice. You won't know until you try. Is it strawberry, banana smoothie? Mmmmm. Or dog food!! Is it blueberry or toothpaste? Lime or lawn clippings? ​Lots of fun to be had. You can get all kinds of novelty USB or flash drives. Teenagers can use them to back up their school or college work, videos, music and photos on a cool looking flashdrive. Examples include bullets, guns, skateboards and superheros like batman. A portable charger is a practical and useful secret santa idea. With a portable charger you don't have to worry about your phone having run out of charge as there is always a back up. Plus there is no excuse for teen boys not be able to phone home if they are going to be late. A great plus for parents. The charger featured adds over one charge (6 hours talktime) to an iPhone 6, almost one charge to a Galaxy S6 or around one charge to most other phones. It's small size so will easily fit in a pocket or a bag. It recharges within 3 or 4 hours. Well it's difficult to go wrong with a gift card. If you're not sure what to get go for an itunes or an amazon gift card. A google cardboard kit is an easy and inexpensive way to access virtual reality with a smartphone. Teenage boys will love it. Google cardboard can be used by kids, teens and adults. It comes with a list of the best compatible apps, so you can start having fun right away. It also comes with step by step instructions on how to use. For older teen guys, especially those that live away from home and those who like camping or outdoor pursuits a swiss army knive is a cool idea. You can get swiss army knives which feature bottle openers, scissors, tweezers, nail file, toothpick and lots more useful accessories that can become useful on an everyday basis. a large blade, small blade, corkscrew, can opener, a small screwdriver, bottle opener, large screwdriver, wire stripper, reamer, key ring, tweezers, toothpick, scissors, a multi-purpose Hook (parcel carrier) and a wood saw. ​There are cheaper swiss army knives to get if this one is a bit too expensive. There are tons of bluetooth portable speakers you can get from around $20. This will enable a teenage boy to stream music from their phone to the speaker and play music wherever they are (at home, friend's houses or in the car for example). 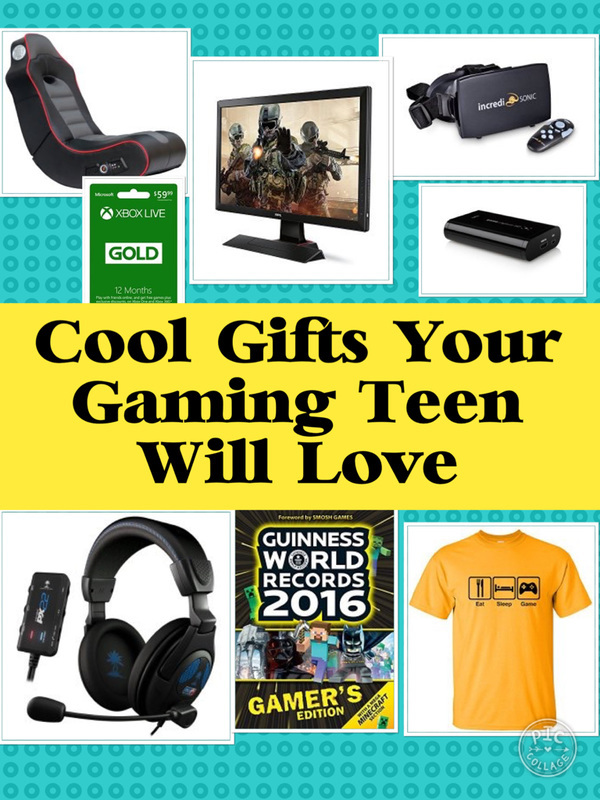 Check out some ideas on bluetooth speakers in the music gifts for teenage boys guide. This is a fanastic inexpensive bluetooth speaker. It will play music by streaming it from your smart phone or other device with bluetooth. ​And it can be used in the shower to listen to music or anywhere you like. It has a long lasting charge. Enjoy 6 hours of uninterrupted crystal-clear music. It's also perfect for outdoor sports, travel, cycling, climbing, camping, hiking, running and fshing use. Lots of fun and comes in different bright colors too. If he love sports especially baseball he will probably love the reaction ball. It's a six sided rubber ball that is unpredicatable in the way it bounces due to its design. This makes it fantastic for working hand and eye co-ordination, reflexes, agility and reaction time. It can be used solo against a wall or play with others in a team setting. It's a great training tool for all kinds of sports. Perfect for a sporty teen.